909 PEOPLE DIED! LET’S HAVE A MARGARITA! 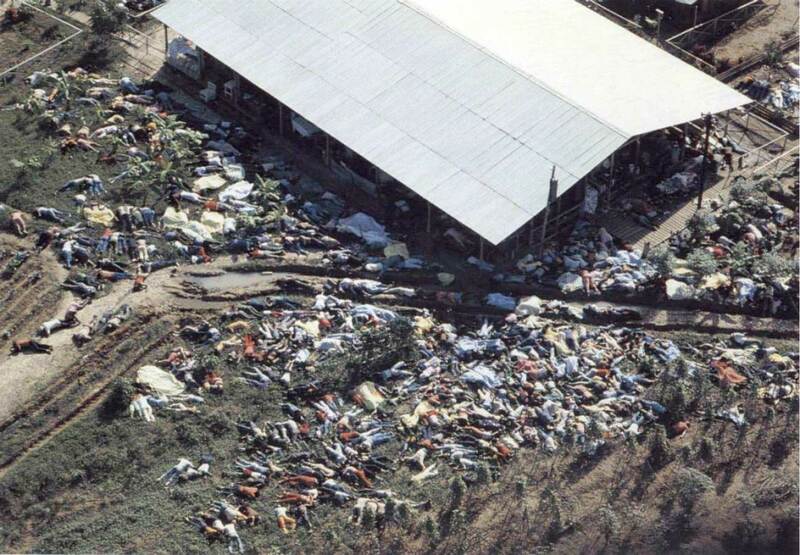 On November 18, 1978, 909 people died after drinking cyanide-laced Kool-Aid at the behest of Jim Jones, the head of the People’s Temple Agricultural Project. The dead included men, women and children (see the photograph above), as well as Congressman Leo Ryan who was gunned down by Jones followers at a local air strip. Jonestown, the name of the intentional community, was located in Guyana, South America. 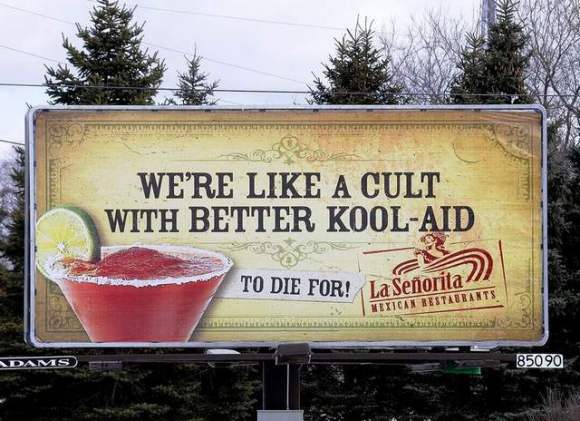 In 2011, La Señorita Mexican Restaurants ran the billboard below. The restaurant chain’s vice president of marketing told the advertising blog Adrants, “while we know that not everyone will get the humor of our ads and we accept that, we do not expect that our ads will offend people.” Do you agree? Given that the billboard appeared more than 30 years after “the massacre,” is that enough distance to make light of it in an ad?